In terms of overall power capacity, Northern Virginia is the United States' largest data center market. With over 426 MW of commissioned critical power, this extremely mature market traces its roots to the U.S. Government's experiments in wide area fiber optic networking in 1969. Since then, the Northern Virginia area became a hub of low-latency connections to the national fiber network backbone serving Washington, DC's biggest public and private enterprises. The bulk of data center investment in Northern Virginia occurs in the suburbs of Washington, DC. 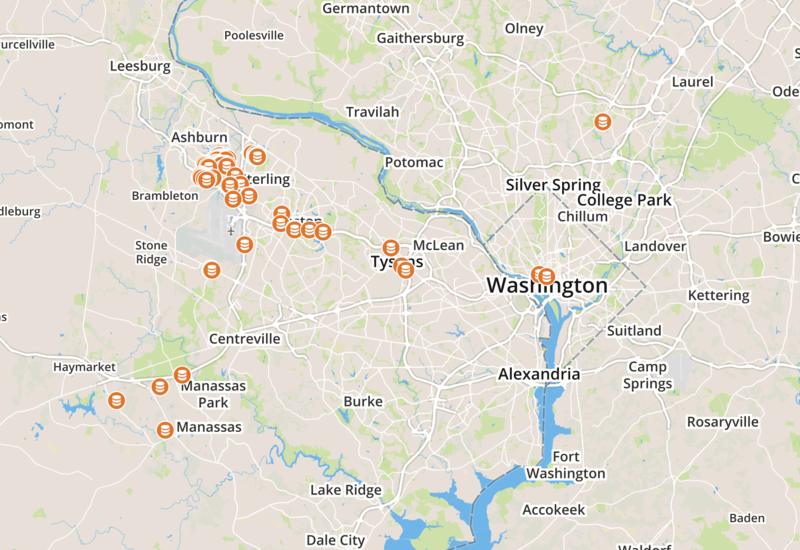 Most notably are the clusters of colocation, cloud, and enterprise data centers located in Ashburn, VA. The Ashburn area—a suburb north of Dulles Airport so dense it is commonly referred to as "Data Center Alley"— is dominated by massive facilities built by the industry's top data center providers. Digital Realty, DuPont Fabros, and Equinix have continually invested in the area by building large multi-tenant data centers. Ashburn, VA's relatively low property costs compared to Washington, DC are one of the main reasons data center providers are moving to the suburbs. While government agency requirements are a contributor to data center demand in Northern Virginia, the majority of the market is made up of other industries finding the market attractive. Aerospace, financial, managed hosting, technology, and telecommunications companies have all staked claims in Northern Virginia's data centers. To meet the region's voracious demand for colocation and cloud data centers, the entire Northern Virginia market has experienced uncommonly-rapid growth for electric power generation and transmission. Compared to the rest of the Mid-Atlantic region, commercial electricity rates in the Northern Virginia market are among the lowest. The Northern Virginia market is also viewed as relatively free of natural disasters. Disaster risks are low overall because Northern Virginia is far enough inland to avoid the full force of hurricanes and there is very limited seismic threat. Legislation making qualified data center facilities exempt from Virginia's sales and use taxes went into effect in 2009. To qualify, data center providers must spend at least $150M and create between 25-50 new jobs in the area. Revisions in 2012 not only extended those tax benefits to 2020 but also enabled aggregation of the requirements across multiple data centers and its tenants. These tax incentives help attract data centers that would otherwise operate in the District of Columbia and Maryland. Colocation requirements in the Northern Virginia market are typically larger than most markets. This is due to the nature of the requirements as well as the availability and competitive pricing in the market. The Northern Virginia market has over 100 colocation and cloud provider profiles listed in datacenterHawk's Hawk Search. This tool enables for data center users, brokers, and consultants to search markets by power capacity. Sign up at http://www.datacenterhawk.com/register to start your own search for free.